Description: The mutual influencе of the system effects, connected with refraction of electromagnetic waves in troposphere and ionosphere of Earth, on the results of GNSS-measurements is analized. Formulas for the calculation of the proper corrections, which can be used for the estimation of uncertainties (errors) of measurements related to the examined effects, are presented. Possibility of exception of influencing systems effects on the basis of methodology of the differential measurements comes into question. Prokopov, A.V. 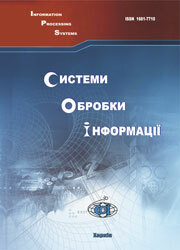 (2010), “Uchet sistemnykh effektov pri otsenke vliianiia zemnoi atmosfery na rezultaty GNSS-izmerenii”, Information Processing Systems, Vol. 4(85), pp. 104-107.